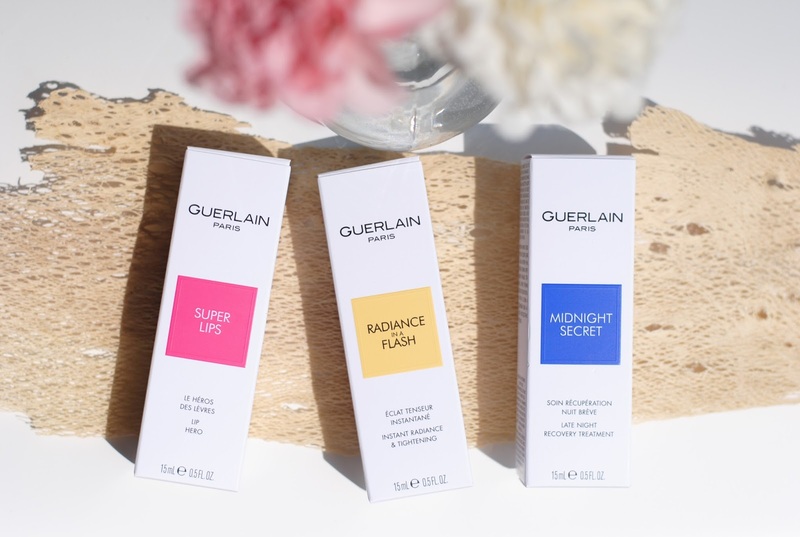 Midnight Secret might ring a bell, it's the cult skincare of the house Guerlain for about 25 years. This one is a savior for tired and dull skin. Like the name says, it's a midnight secret - you have to apply this before you go to bed. Over night the formula does its magic and your skin will look plumper and more radiant in the morning. The formula has a hydronoctine complex which is a well dosed cocktail of 8 ingredients that mimics sleep. It has a new lavender/tonka bean scent by the way. I didn't have a night recovery treatment yet and this one does exactly what it should do. Cold weather, wind but also sun, cocktails and kisses: all these elements dry out the (thin) skin of our lips. 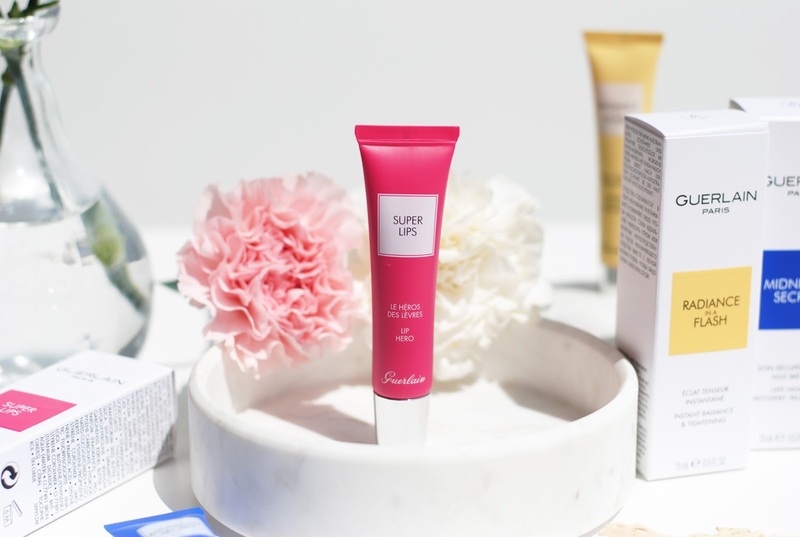 Superlips is inspired by the Baume de la Ferté which was created in 1830. 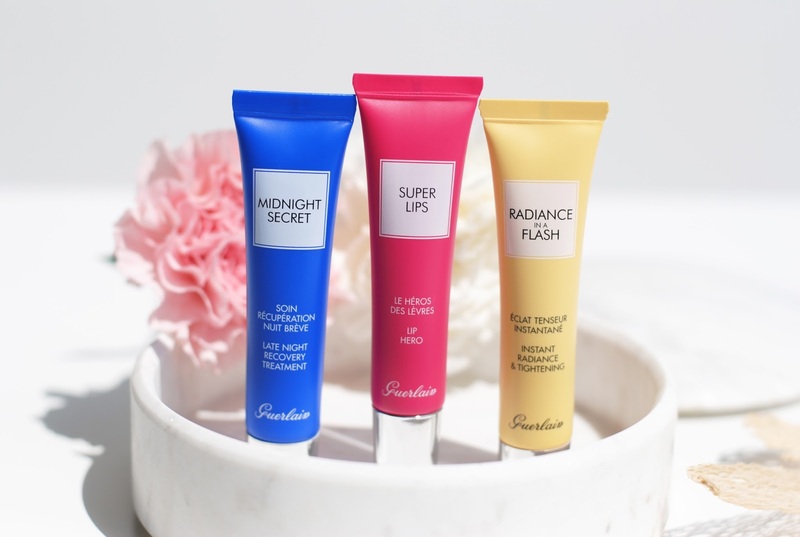 It recovers and protects the lips and makes them look plumper and smoother. The combination of butters and oils contains over 70% lanoleic acid (the acid that replaces the lipid layer). Hydroxyproline stimulates the synthesis of collagen. Lips get supple and in shape again. You can apply it in the morning for a plumping effect and at night to prevent dehydration. Dinners, dancing, babies, meetings... Enough tasks in a day for everyone and our skin sometimes can't keep up with our rhythm. Skin looks tense and radiance is gone. Radiance In A Flashhelps after a short night or before a special evening out for example. The gel texture tightens the skin and smooths it out. 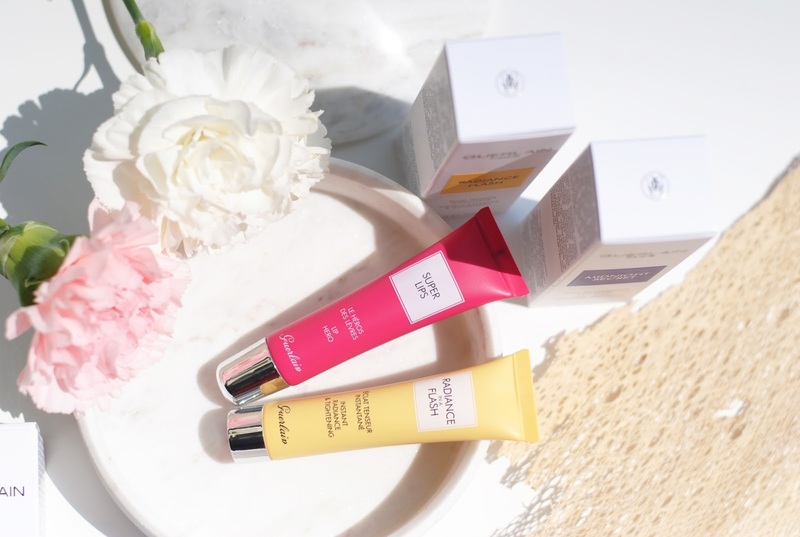 The active ingredients like wormwood and ruscus stimulate the micro circulation, and tiny pink and gold particles create the perfect complexion. The formula smells citrusy/floral/fresh. This one is my favorite of the three, the tightening effect is there, but that glow though! It gives a gorgeous glow, an instant fresh/awake look! 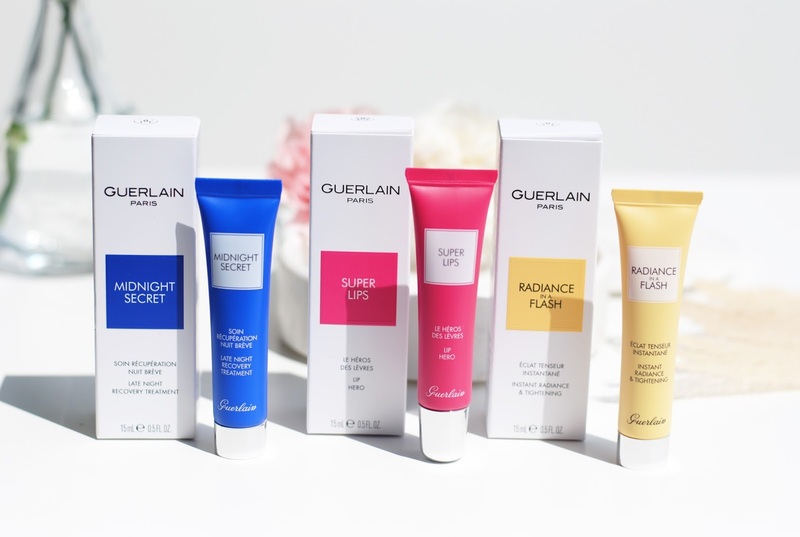 I feel like Guerlain skincare is underrated. 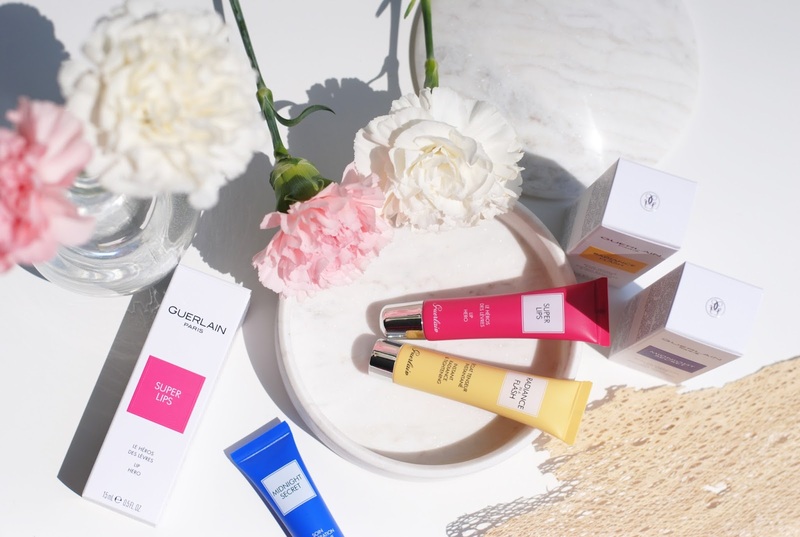 My favorite moisturizer (almost time to buy a new bottle) is the météorites moisturizer and these products prove again that Guerlain is really good at make-up, but skincare as well. 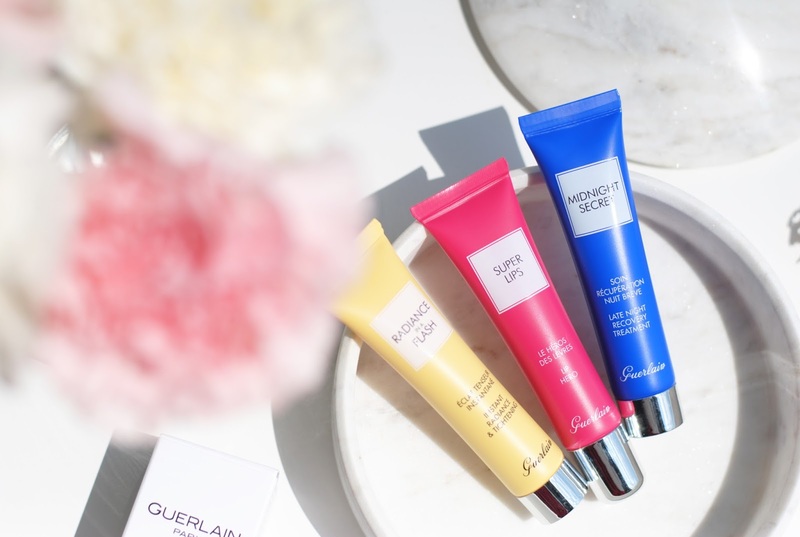 It's time for me to dig a little deeper in the Guerlain skincare products I think! 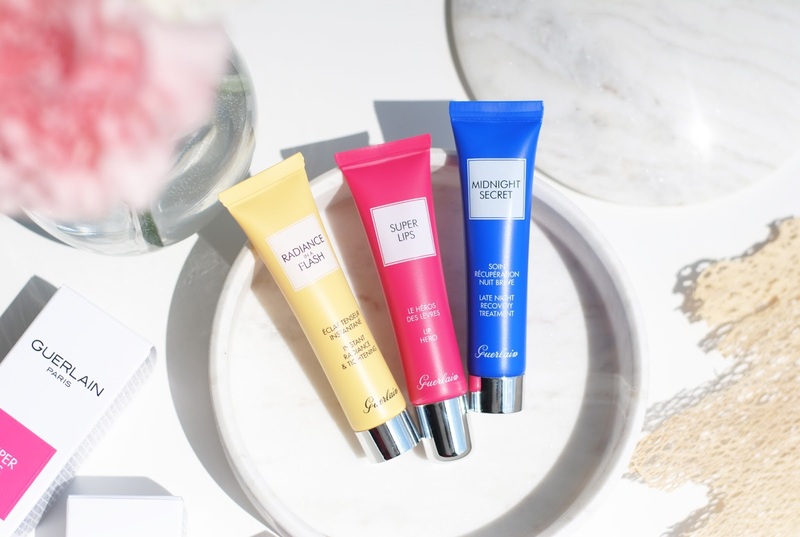 The My Super Tips line is very handy if you would like to try out a product first before buying the full size product (Midnight Secret is around €120), it's also handy as little go-to treatments like they're intended. 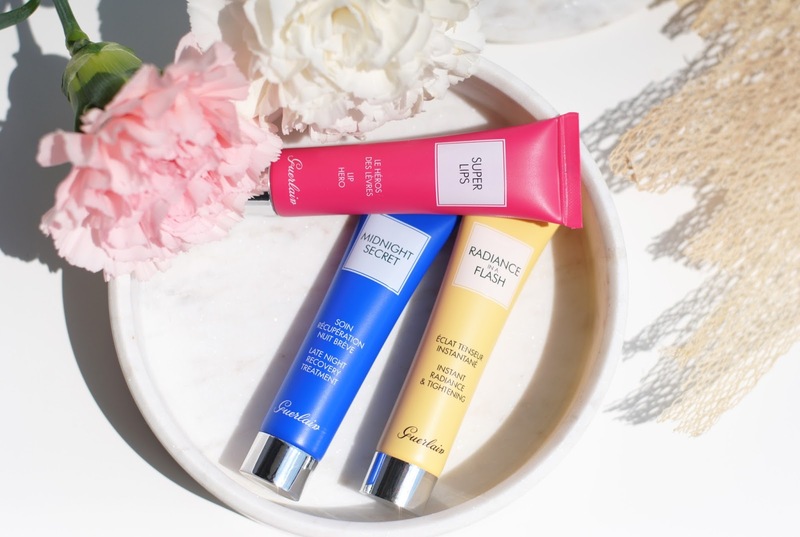 There are 2 more tubes in the collection: a spot treatment and a comfort balm. All the tubes contain 15ml and are all priced €31. This might be a bit much for some of them like the creams (I've had Guerlain samples that were 15ml) - but it is a normal price for a lip gloss or the spot treatment. Are you going to check these out? I love the colorful packaging of this collection! 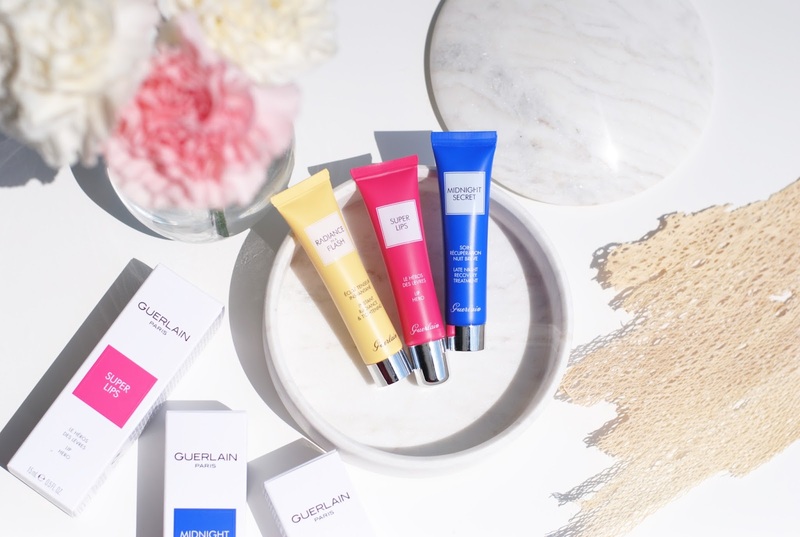 And I think it's a great idea that with this collection you can get to try some of the Guerlain essentials. Yess all of these look amazing! Wat handig zo een setje, zeker omdat ik veel huidproblemen heb.